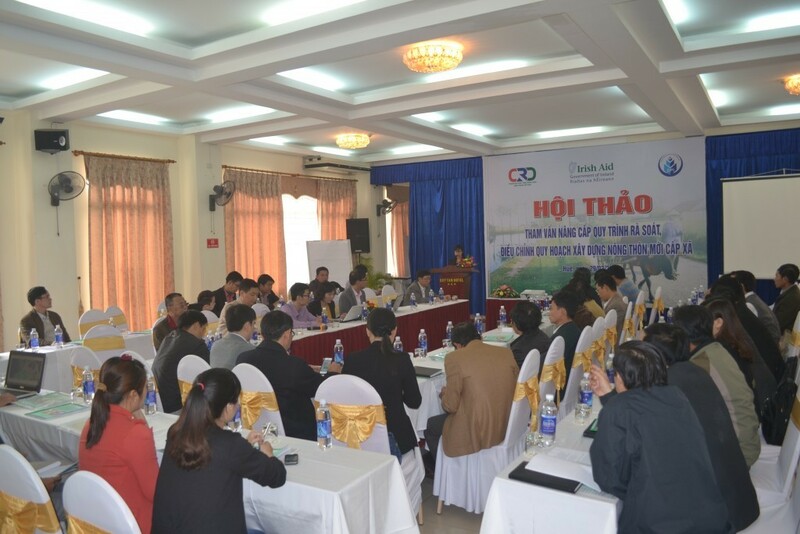 On March 29 2016, more than 50 representatives from all levels in Thua Thien Hue Province attended the “Consultation Workshop on Upgrading the process of reviewing and revising New Rural Development (NRD) Plan” in Duy Tan 2 Hotel, 46 Tran Quang Khai Street, Hue City. 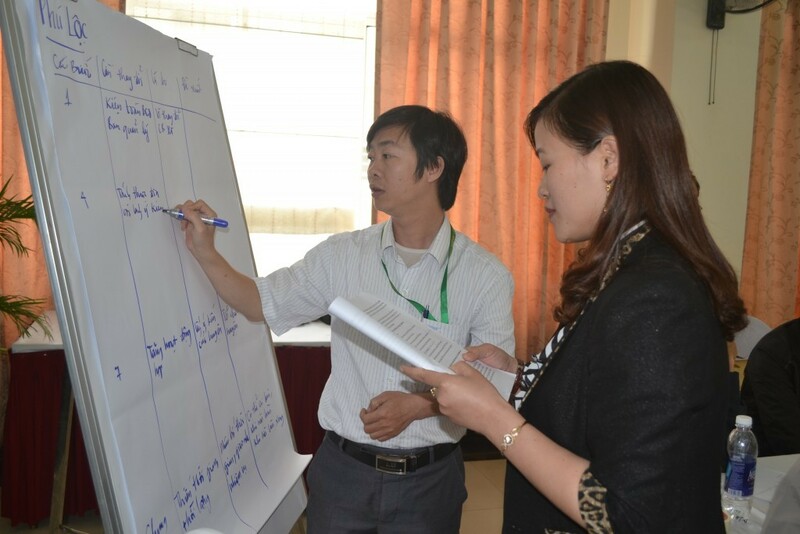 The process was initially that of Agricultural Production Development Plan established by CRD. 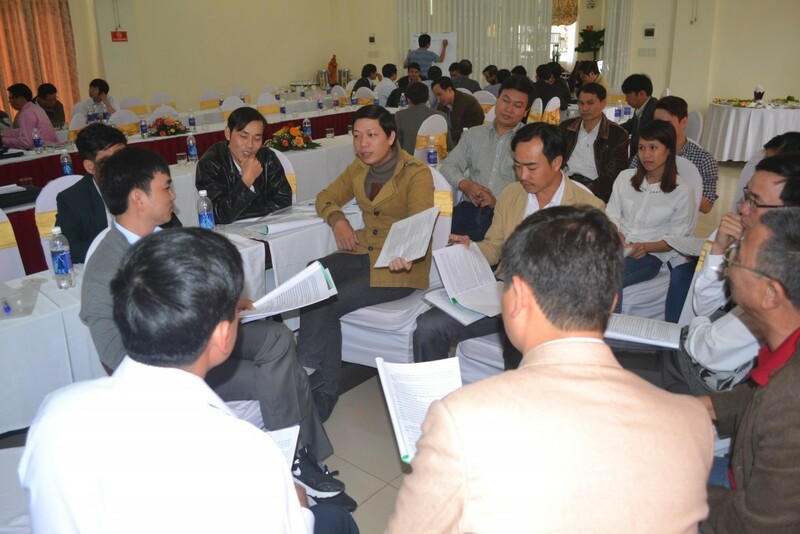 During the implementation, Project VIE/033 upgraded in to 3-in-1 reviewing and revising process, including business production plan, infrastructure building plan, and land use plan, which has been applied in 26 communes in 03 districts (Phu Loc, Phu Vang and Quang Dien) with the involvement of CRD, Research and Development for Agro – Forestry and Fisheries company limited (RDCAF Co .,Ltd), and Construction and Environmental Engineering., JSC (CEEN). The objective of the workshop was to collect comments on the upgradation of the 3-in-1 process of reviewing and revising NRD Plan at communal level (hereinafter referred to as revision) implemented by district/communal officials. 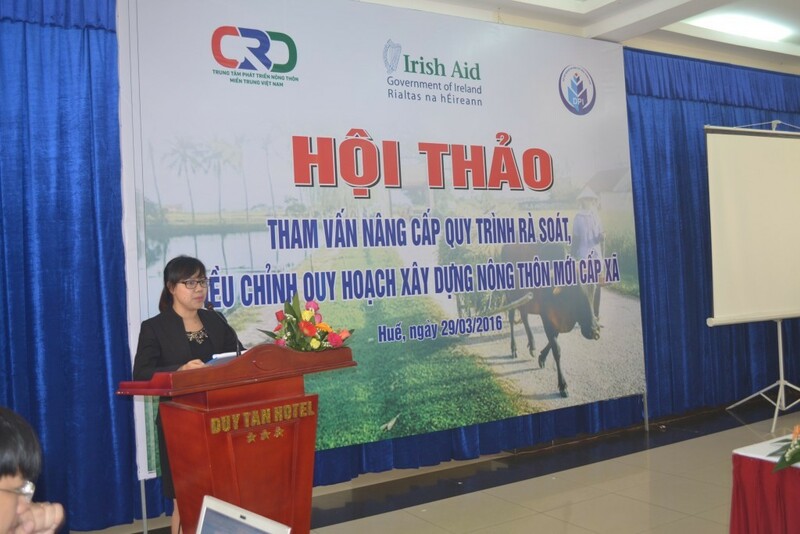 In his speech at the workshop, Mr. Nguyen Quang Cuong, Deputy Director of DPI said, “The revision at communal level needs to be comprehensively conducted, not barely building infrastructure but focus should be placed on agricultural production development, improving the people’s income as well as their capacity on climate change adaptation and disaster risk reduction”. 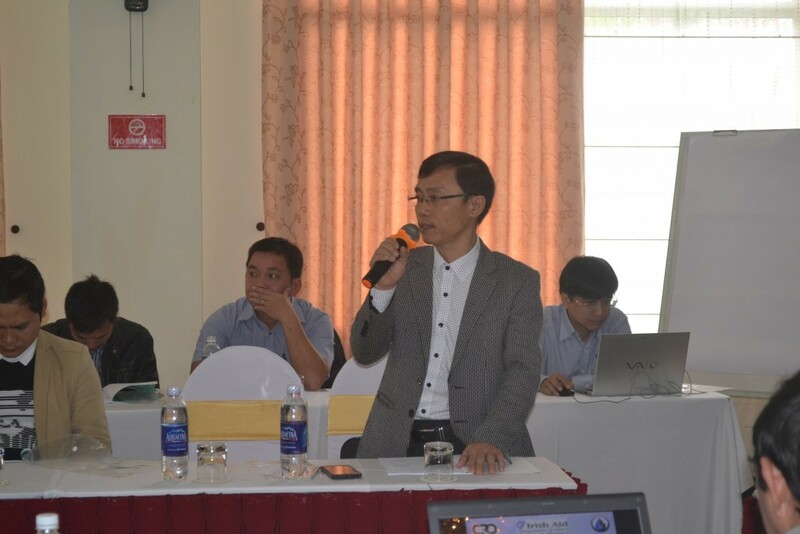 At the workshop, the participants listened to the consultants presenting the implementation evaluation and report on the revision conducted in Phu Loc, Quang Dien and Phu Vang districts as well as comments and suggestions from experts and officials at districts and communal levels. The participants were divided into 03 groups to discuss on the 09 steps of the revision at communal level introduced by CRD’s consultants. 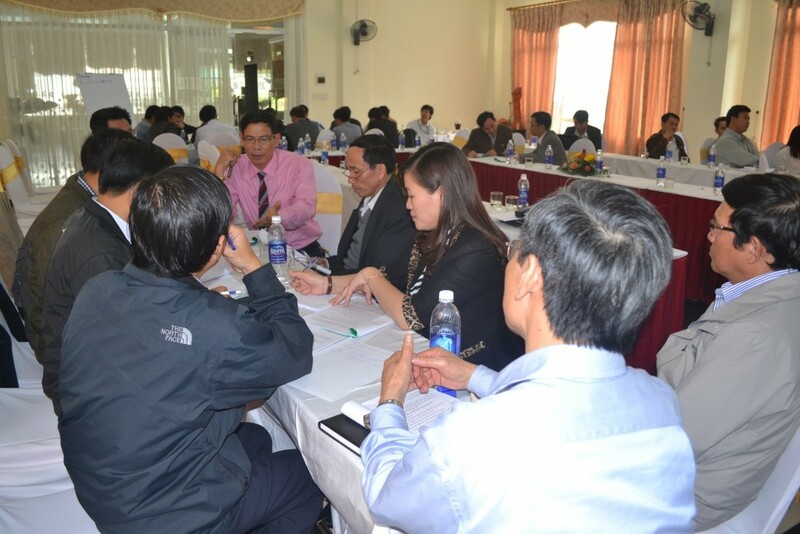 Besides the agreement on the process contents and methodology, the workshop also received a number of recommendations for the amendment and supplement of the process in order to better suit the local actual conditions. 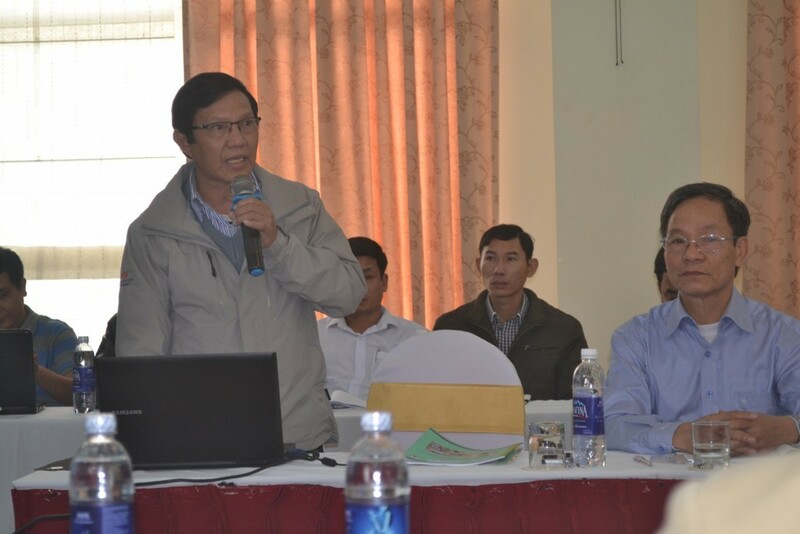 Most of the representatives expressed their confusion on how to have NRD Plan maps describing accurate land conditions to facilitate land management for the implementation of NRD in the next years despite the limited capacity of the communal officials on mapping system standardization, database conversion and integration on GISHue. Therefore, it is proposed that responsibilities should be assigned to the Database Centre with the collaboration of Division of Natural Resources and Environment to ensure data access and update without interruption due to financial deficiency after the project has ended. 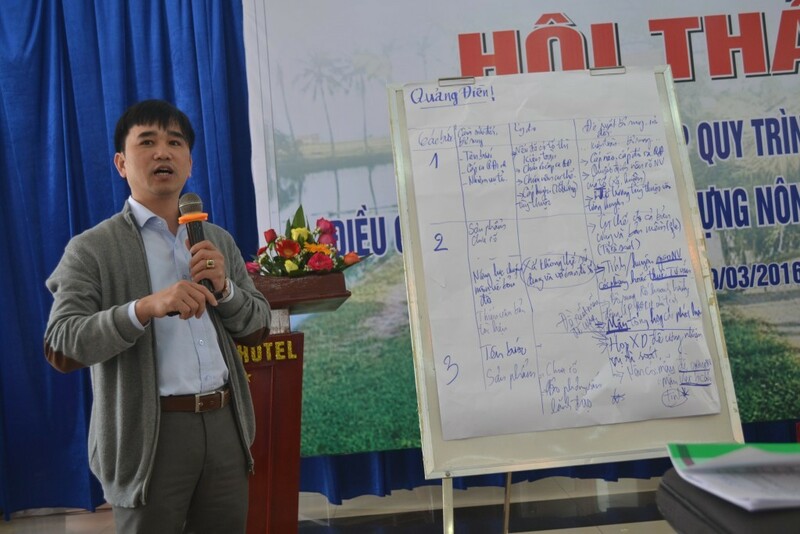 The recommendations for upgrading the reviewing and revising New Rural Development Plan at communal level will be used for process upgradation before submission to the People’s Committee of Thua Thien Hue province for approval and wide application.